Bruce Springsteen's melancholy "Meeting Across the River," a song rarely performed but beloved by his countless fans, serves as the inspiration for this eclectic mix of short stories written by an array of acclaimed authors. 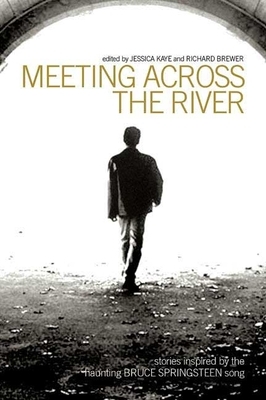 "Meeting Across the River," from Bruce Springsteen's Born to Run album, is a song with an evocative melody and lyrics that unfold like a noir fable: a man down on his luck but desperate to make things right with his girl tells his buddy, Eddie, that they have to get across the river for a last-chance meeting with someone, all in the hopes of a big score: two grand. With that money, our hero can win back his girl and all will be right with the world-but if he and Eddie screw up, the consequences will be grave. Authors including Eric Garcia, C. J. Box, Barbara Seranella, David Corbett, Gregg Hurwitz, and Steve Hamilton, among others, have written imaginative, heartbreaking, funny, and bold stories based on this classic American story of hope and despair, each a surprisingly different experiment with character and plot. For as familiar as this story is, Springsteen's spare lyrics leave much unsaid. How these authors fill in the absences is what makes this collection, published a month before the thirtieth anniversary of the release of Springsteen's Born to Run, such an unusual treasure, proving that, just as with music, in literature no two performances are alike. Jessica Kaye is a publishing law attorney, occasional writer and the founder and former publisher of the Publishing Mills, an award-winning audiobook company, as well as a lifelong fan of great music and great writing. Richard J. Brewer is an author, actor, and voice-over talent for films and audiobooks. "Creative visions worth of the music that inspired them." "Surprisingly inventive… "Meeting Across the River" is pure noir."